In 1818 the British and American governments established the Canadian-American boundary at the 49th parallel from the Lake of the Woods to the Rocky Mountains, extending it to the Pacific in 1846. The British North American Boundary Commission surveyed the boundary in 1872. The surveyors opened a trail from Fort Dufferin (Emerson) to Cartwright; from there they followed an existing trail long used by Aboriginal peoples and fur traders. The old and new trails became known as the Boundary Commission Trail. Here, where the trail crosses Turtlehead Creek, is one of the longest intact portions of the Boundary Commission Trail in Manitoba. The North West Mounted Police camped here in 1874 on their historic trek west. During the early 1880s, the crossing area was the site of a Dominion Land Titles Office, serving hundreds of homesteaders in Manitoba and the North West Territories. The land office site was submerged in 1962 by the Turtlehead Reservoir. 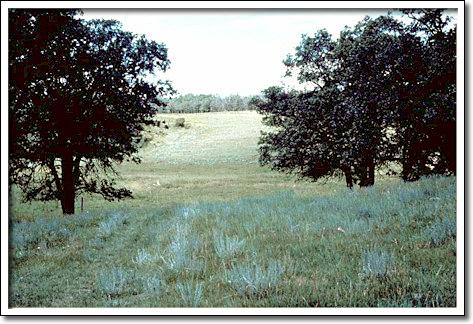 This 32-hectare site remains a rare example of undisturbed natural oak savannah and mixed-grass prairie vegetation. In 1993, the Turtle Mountain Conservation District purchased the land to ensure its preservation.